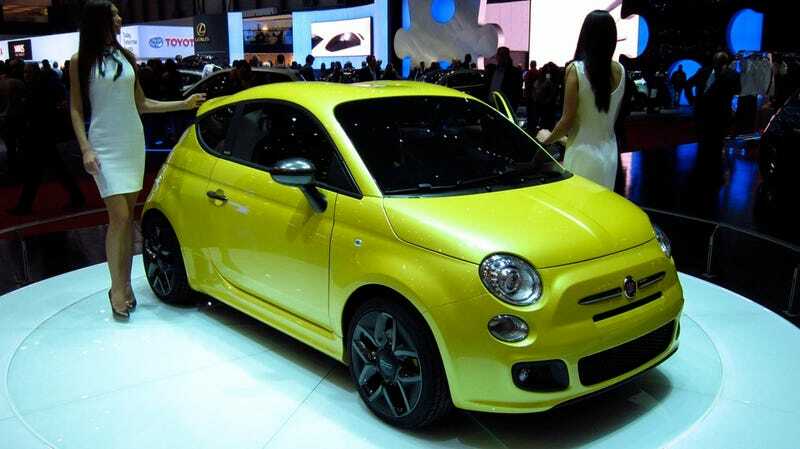 Imagine you're an Italian designer and someone asks you to futz with the Fiat 500? Muck about at your own peril, some would say. Others would say, pull down the roofline, and park it athwart two ravishing Italian models. Done. Indeed, the 500 Coupé Zagato concept also has Zagato signature, helmet-accommodating double-humped roof, which give the 500 a racier silhouette. And under the hood is the Fiat's spry little turbocharged TwinAir engine and bespoke 17" wheels, wider meats and bigger brakes. Then again, Zagato has a history of messing with small Fiats, with successful results.